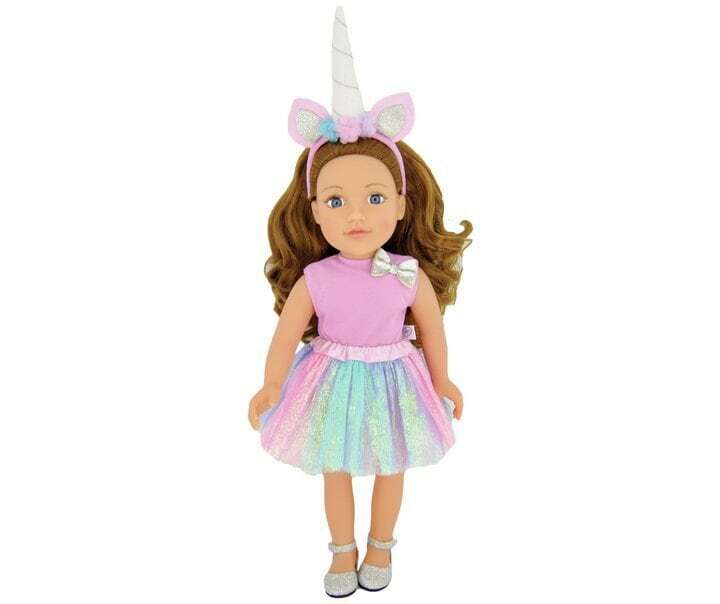 The Chad Valley Designafriend Fancy Dress Outfit is comprised of a pretty pink leotard with silver bow detail, a glittery tutu skirt, headband with cute unicorn ears plus 3D horn, floral detail and silver sparkly shoes. Your Designafriend will certainly get a positive reaction at the dress-up party wearing this outfit! Comes carefully gift packaged in a boutique style box with soft tissue paper and contains a unique unicorn charm that can be easily attached to the Designafriend doll charm bracelet. Get money off with April 2019 free Argos voucher codes, see if there's a promo code for the Chad Valley Designafriend Fancy Dress Outfit product. Argos may be out of stock of this product. To enhance your shopping experience you may also be redirected to a search results page when you click an outbound link.